SAMANTHA SHUKLA crosses the finish line at the University of the West Indies’ (UWI) SPEC International Half Marathon on October 28. SAMANTHA SHUKLA knows what it takes to be a winner. 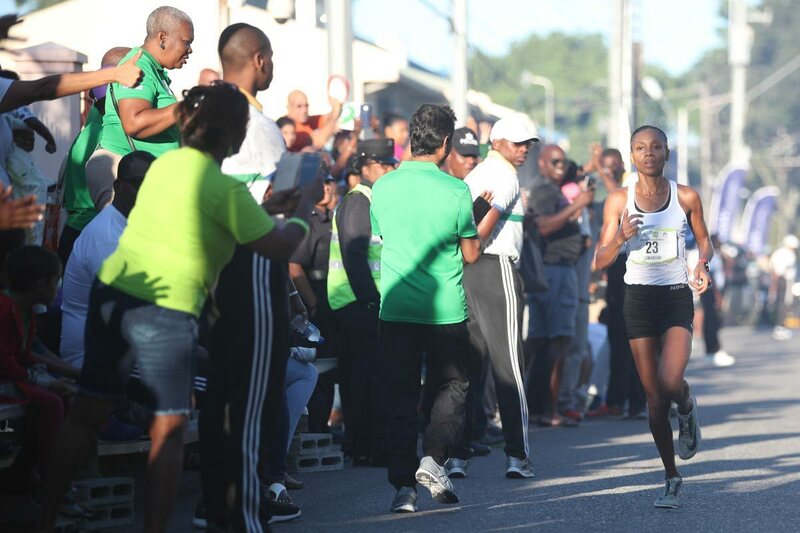 Only days ago, she was the first local woman to cross the finish line at the University of the West Indies’ (UWI) SPEC International Half Marathon. She was the second woman to finish the race, clocking a personal best of one hour, 21 minutes and 56 seconds (1:21:56) on October 28. In May, she won the women’s category in the Sea to Sea marathon in Tobago, finishing 14th overall. 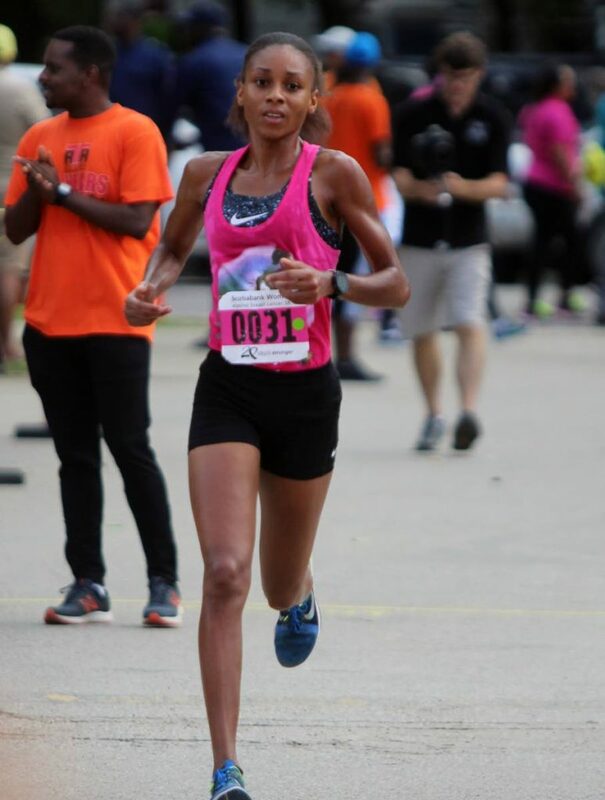 In September, she won the Scotiabank Women Against Breast Cancer 5K title for the third year running. Not only is she accomplished on the field she is also accomplished off it. Shukla holds a BA in Psychology with a minor in Sport Management from Wichita State University, Kansas. The former Success Laventille Secondary School student did her A-Levels at St Joseph’s Convent, Port of Spain. She is currently pursuing a certificate in the Art and Science of Coaching at the UWI, St Augustine. The national athlete knows exactly what it takes to win, she also knows that a major part of winning is mental and care for one’s mental health. From her own experience she knows a lot of athletes face mental issues. “We have a culture when we only support when they are doing well. We have a lot of talented athletes that do well, but it is not smooth when you’re an athlete. There are ups and downs, and during the down time, you want to know that there are people supporting you to get back up,” the Beetham Gardens resident said. It is also from her own personal experience that she knows the importance of mental well-being. In her teenage years, Shukla often felt “anxious, sad, confused, unworthy, at times.” These feelings morphed from a turbulent childhood and ran well into her teenage years, until she was 19-20, she said. Samantha Shukla leads the field in the Scotiabank women Against breast cancer 5K walk and run at the Queen's Park Savannah, Port of Spain. At 15-18, these feelings were acutely intense, prompting her then coach, Phillip Marcelle, to get psychological help for Shukla. Now 27, she remembers when her coach discovered her. “We had a sports day and I won every single event at Success RC Primary School (Laventille). That was the first time I got a trophy. I won the victrix ludorum (overall champion) trophy in standard two.” While Marcelle was a teacher and then principal at the school, he did not teach Shukla. “It made me feel special,” she said with depth, knowing the exact meaning and feeling of those words. “I was always a high-performing student. Then I discovered I had athletic ability. And with that, as I did well in school and running, I saw that people were proud. I made them happy when I did well. At 15-16 her high performance began to waver. It was then, Shukla said, that Marcelle got her psychological help. She described the 2006 CARIFTA games as one of her “emptiest” moments. It was my first CARIFTA, my first big international competition. I had made Caribbean Union of Teachers when I was 13, but I placed second and third. I went there and I was number one in the 1500 metres race at the time. Nobody in TT could have touched me. “I wanted to punish myself for not doing well. It was after that Guadeloupe incident that Marcelle, whom she described as a father figure, helped her to see a psychologist. Shukla has never been clinically diagnosed with depression nor taken any medications for it. She saw the psychologist for about two years and that helped her to deal with her anxiety. She also credits getting baptised and her faith in God for better mental health. She is now training to qualify for the Pan American Games in 2019 and one day hopes to be an Olympian. Reply to "Shukla wants more sport psychologists in TT"